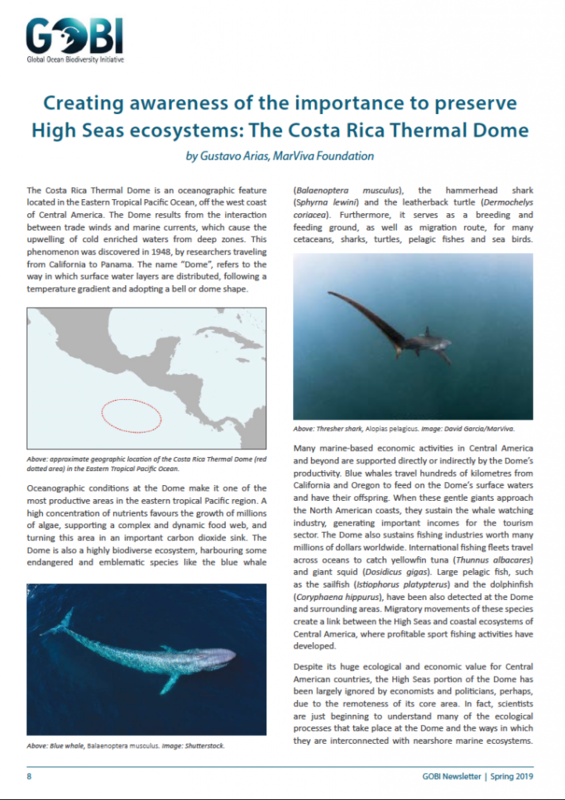 Pick up your latest copy of the GOBI newsletter here. 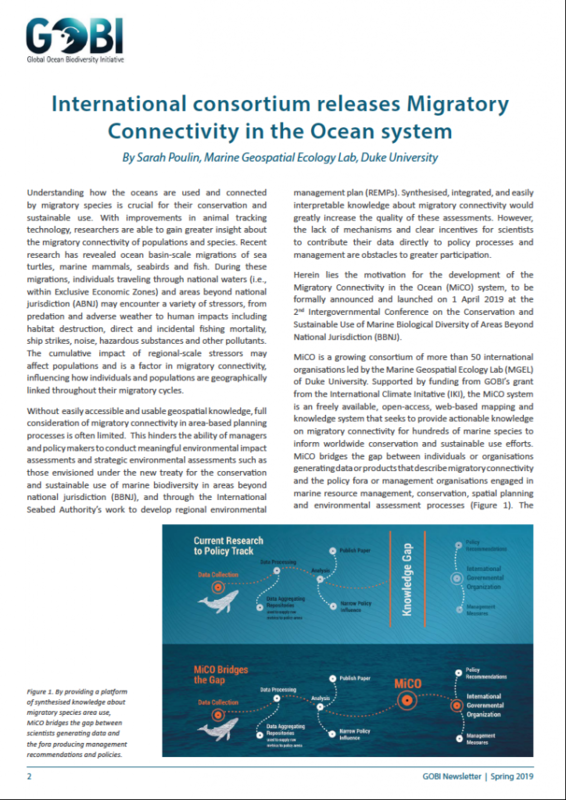 This issue is all about connectivity, to coincide with the launch of the Migratory Connectivity in the Ocean (MiCO) system during second session of the Intergovernmental Conference (IGC) on an international legally binding instrument under the UN Convention on the Law of the Sea (UNCLOS) on the conservation and sustainable use of marine biological diversity of areas beyond national jurisdiction (BBNJ). 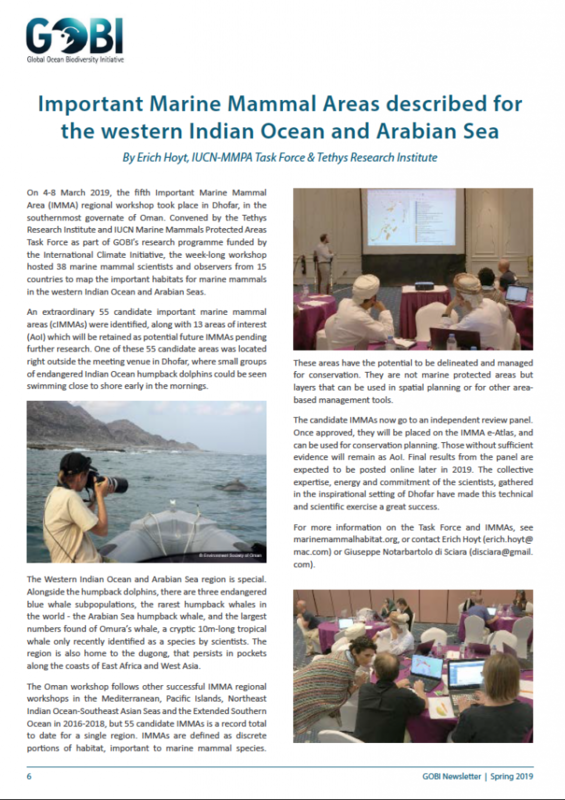 As well as all you need to know about MiCO, other articles present what the rest of the GOBI family is doing to increase and promote our knowledge on how oceans are connected through their biodiversity. There is also an introduction to GOBI’s newest partners.